I don’t know about you, but I’m always surprised when I think about the activities I engaged in as a child and (gasp…) survived unscathed! 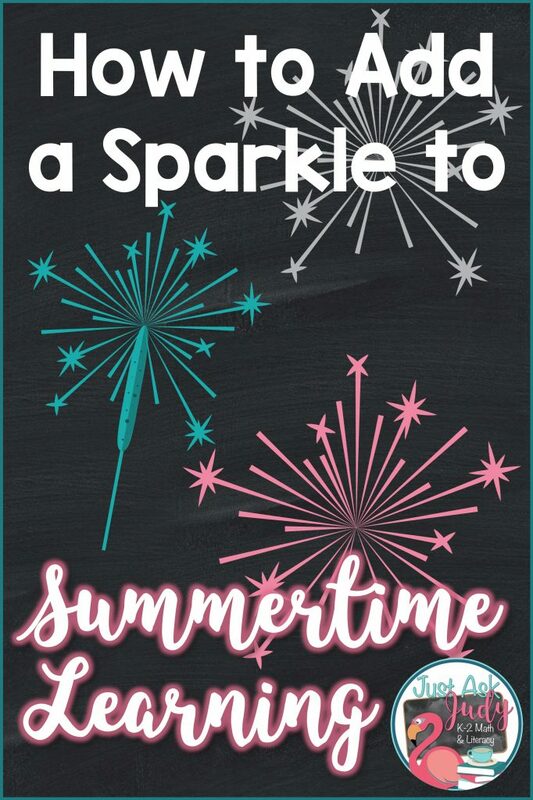 The Fourth of July arrived with family cookouts, backyard games, homemade ice cream, military bands, parades, fireworks, and yes… plenty of sparklers for kids of all ages. 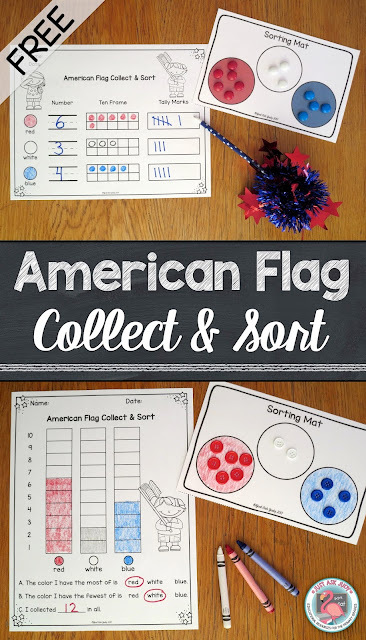 I’ve crafted a free math activity, American Flag Collect and Sort, to share with you and rounded up a variety of activities with patriotic sparkle to help your little ones safely celebrate the Fourth of July (and other patriotic holidays). 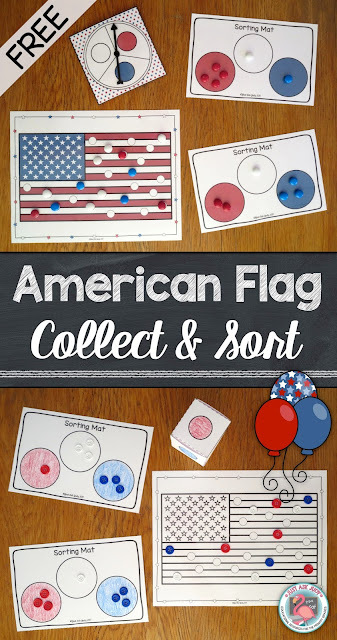 This American flag themed activity engages preschoolers, kindergarteners, and beginning first graders on several levels. Your youngest learners can enhance their fine motor skills and match/ identify colors. Older learners can count, write numbers, represent quantities with ten frames and tally marks, graph, and compare quantities. Choose to print in color or black/ white. Choose to use a spinner or a cube. Print and cut. Color the black and white, if using. The spinner can be made with purchased hands, a paper clip and pencil, or a brad and paperclip. Score, fold and glue the cube. Print one American flag game mat for each pair of players. Place 25 red, white, and blue counters in the spaces on the American flag mat. Take turns with a partner. Collect one counter that matches your color. Place the counter on your sorting mat, if using. If all the counters that match your color have been collected, you lose your turn. Play until all the counters have been collected. Count to find out how many of each color you collected. Which color did you collect the most of and the fewest of? Count to find out how many counters you collected in all. Who collected the most or the fewest? Follow-up with one or both of the recording sheets. The circles can be colored to match the color words. Read my blog post about this same activity with a candy corn theme. Check out these links for more patriotic math, books, crafts, and snacks! Visit my Pinterest board for even more ideas!